This park, developed by the Leon Levy Foundation in conjuction with the Bahamas National Trust, features 1.25 miles of walking trails where visitors can see medicinal plants, beautiful orchids and hardwood trees that are integral to Eleuthera’s botanical history. The Leon Levy Preserve is located on Banks Road just 2 miles from Governour’s harbour. For more information visit http://levypreserve.org/ . Located in the center of the capital, this historic library is definitely a place to visit if you want to find out some history and enjoy some peace and quiet. You can also use the wi-fi and computers and print documents off for a small fee. It was recorded that in 1648 Captain William Sayle led a group of Christians called the Eleutheran Adventures on a voyage to seek religious freedom for Bermuda. The voyage ended in a ship-wreck off of Eleuthera at the Devils Back Bone. There they discovered a huge cavern where they sough shelter. It is believed that a large stone formation inside the cave served as a pulpit and it was here that the Adventures held their first Christian religious service in the Bahamas. Artifacts dating back to the indigenous Lucayan inhabitants of Eleuthera have been found in the cave. Travel North from the North Eleuthera Service station in the direction of Spanish Wells and turn right at the sign that reads “Preacher’s Cave”. Tip: after the visit at the cave don’t forget to soak up the on the exotic pink sandy beach nearby! This large system of dark caves is best explored with a guide. They offer a spectacular presentation of stalagmites and stalactites if your lights are powerful enough to take you through the full length of this fascinating trek. To get an idea of Hatchet Bay caves you can watch this video (from 4:49 through 7:18). Traveling North on Queen’s Highway from Governor’s Harbour look for a sign and a newly built stone wall entrance between Hatchet Bay and Gregory Town. Tip: to visit the caves with a guide call Calvin Monroe 1-242-464-0962. Renowned for its powdery pink sand beach and pretty New England-style clapboard houses, Harbour Island is ideal for a one-day trip during you staying in Eleuthera. “Briland”, as it is affectionately known, measures just three miles by half a mile but it has a big reputation that pulls in most of the visitors to Eleuthera. 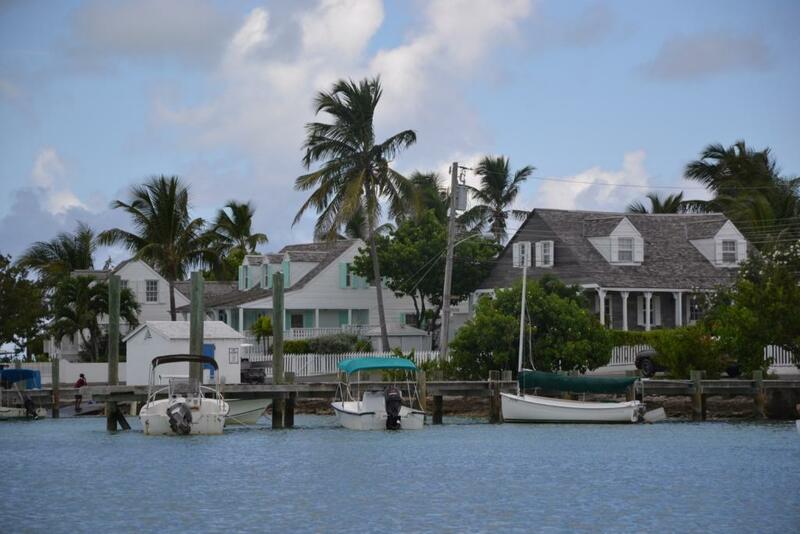 Also a possible for choice for another one-day trip, Spanish Wells is located on St George’s Cay, a 10-minute ride by water taxi off the northern tip of Eleuthera. The Island is unique to The Bahamas, as its mainly white population has hardly changed over the centuries and still makes a living from the sea. Many of the inhabitants are direct descendants of the original Eleutheran adventurers and Loyalists and still speak with traces of British accent. Fore more info visit http://www.myspanishwells.com/ .